When Ofsted next inspect our school, they will no longer send out the old parent questionnaire to glean parental feedback on how good our school is. 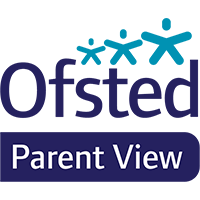 In its place is the new ‘Parent View’ website where parents can log on and leave opinions and responses to 12 aspects of your child’s school. The staff and governors at HCIS are keen to share this site with you and encourage you to log on and leave your responses. By sharing your views of HCIS you’ll be helping to record our successes with Ofsted but also highlight areas for improvement and future developments. There is also an option to ‘view the results’ so you will be able to see the collective response of our school community to aspects such as ‘Teaching and Learning’ and ‘Behaviour’. If you need any help with this, or you don’t have access to a computer, do come into school and we can get you set up on one of our school desktops. Thank you.